It is possible to suffer through training or adventures and I imagine that nearly everyone has a painful day sometimes. However, if you feel like you are pushing a boulder uphill all of the time, it will get too hard.... I believe that no matter how challenging an activity is, we do best when we can evoke a sense of joy. Scientists know that the emotion of joy sets off a cascade of positive hormones which empower us - not only mentally, but physically too. I try to recall from a half dozen personal experiences when I need to relax and 'up my game'. One was a triathalon where I had been losing my cool after a massed start with 2200 swimmers. For half an hour I'd been getting kicked and swum over more times than I could count. As I rounded the second and last buoy and got on with the business of swimming back to shore, I noticed that the sun had come out and was brilliantly lighting up the sand about forty feet below. The plants were moving in the current and some long lean fish were swimming the same direction as I was going. As they moved, their scales sparkled in the sunlight. It was beautiful and I've carried that image in my mind for years. 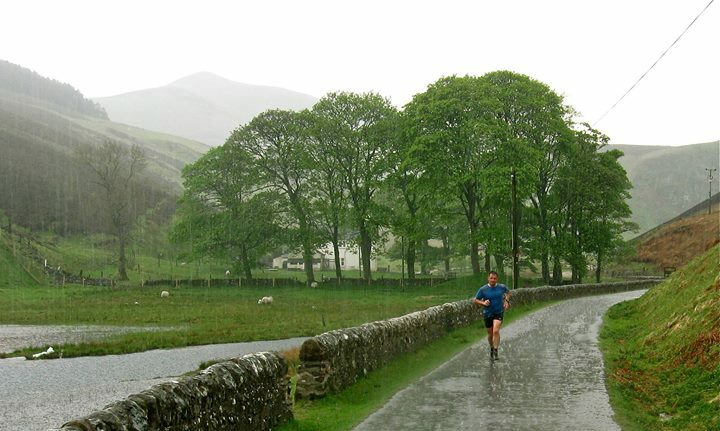 Another time was running in the warm rain, with my brother Keith, in the Pentland Hills near Edinburgh. During a long run last week I though about both of these and felt my pace pick up and my fatigue slip away. It's amazing what positive visualization can do for our performance. Professional athletes train their minds to be able to use visualization techniques when it counts. Going all out is not for the faint of heart, yet look at the face of a winner as they cross the line or score a goal - and notice how confident, relaxed and happy they can be despite the pressure and effort. What are two or three experiences you've had during exercise, training or an event, where you've been overcome with joy? How did it feel? Try to evoke those memories during your next training session or event. Let the feelings turn your worries into confidence and your fatigue into fuel.